Yes! 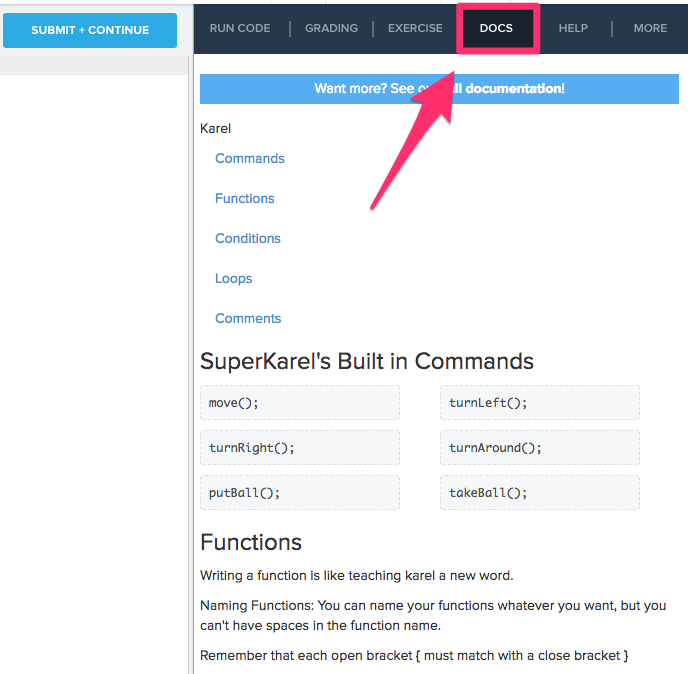 The "Docs" tab in the top right corner of any editor / exercise page is a great place to point students if they ever get stuck. The Docs tab contains documentation for many of the concepts they have learned in the course so far. Docs will become more detailed and extensive as students go through a course on CodeHS and learn more programming concepts.